The hotel Agios Prokopios is located close to the beach of Agios Prokopios (150 metres), a beach of unique beauty, known for its crystal clear water and white sand. 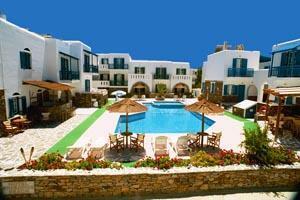 Near to Agia Anna-Plaka beach the hotel offers rooms, studios, and apartments with 2 separate rooms. Pets Allowed, Bar, 24-hour Front Desk, Garden, Terrace, Non-smoking Rooms, Family Rooms, Free Parking, Express Check-in/Check-out, Safety Deposit Box, Soundproofed Rooms, Heating, Design Hotel, Luggage Storage, Gay Friendly, Breakfast Buffet. Tennis Court, Fishing, Games Room, Massage, Children's Playground, Windsurfing, Jacuzzi, Library, Biking, Walking, BBQ Facilities, Cycling, Diving, Horse Riding, Outdoor Swimming Pool. Room Service, Airport Shuttle, Babysitting/Child Services, Laundry, Dry Cleaning, Breakfast in the Room, Ironing Service, Internet Services, Currency Exchange, Bicycle Rent, Car Rental, Tour Desk, Fax/Photocopying, Wi-Fi / Wireless LAN.